Since 1986, Fitzers Catering have been the culinary innovators and leaders in the Irish Hospitality Industry. Catering for corporate events, conventions, sporting venues, weddings, heritage sites, movies, concerts & crew across the nation. We are proud to be a 100% Irish owned family business. At Fitzers Catering, we have a highly skilled culinary team and trained chefs who are extremely passionate about food. Our Kitchen team is lead by Leonard Fearon, Director & Group Executive Head Chef. Leonard has a Michelin star background and has brought a superior level of food design and styling. He plays an integral part in the quality of our menus. 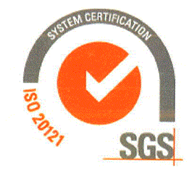 Fitzers Catering are committed to a Sustainability Program and have achieved ISO20121 Standard. Fitzers Catering is delighted to be the in-house catering solution of choice for some of the most beautiful and iconic heritage venues in Ireland. Our property portfolio boasts a wide variety of memorable spaces. We have racing venues, ascendancy castles, Georgian buildings and modern conference spaces to host your special event. Every dish has been designed to reflect the best seasonal produce, the finest in food trends and signature Fitzers classics sourced, wherever possible, from Irish suppliers.